Pacebutler – We are growing in Facebook. A few weeks ago, we announced in this blog that we’re forming a community in Facebook, the premiere social networking site today. Well, last week, we started inviting friends to join us in the group and today, we’re happy to observe that the group is growing quite fast. Hopefully, we will reach 500 members by the end of June. 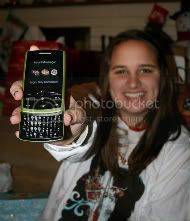 You can view the group Old Cell Phones For Life in Facebook, if you haven’t checked it out yet. You need to log in to your Facebook account in order to view the page. Please visit the site today and become a member. We need your support. As we wrote before, Old Cell Phones For Life is an initiative designed to help several great organizations (non-profit and charity) that we’re currently working with. These are groups like Feed The Children, the Salvation Army, and the American Cancer Society. Each of these organizations is working towards helping people facing different challenges in life – poverty, sickness, alcoholism, lack of education, hunger, natural disasters, etc. They all deserve our help. Old cell phones sent to Pacebutler through the Donate To Charity page will be properly accounted for, and proceeds will be sent to these non-profits. If your favorite charity or non-profit organization is not included in the list, please feel free to contact us in this site or post in the boards at Old Cell Phone For Life, and we will work something out for your organization. Facebook, now valued at $10 billion has the fastest growing membership today. It rivals Google in terms of daily searches, and is larger than any photo-sharing site in terms of images stored in its databases. That’s why we consider this group in Facebook to be a very important component in our effort to spread awareness of the importance of cell phone recycling. Our vision is to ultimately have a member of the group coming from each town or county in America who will help us amplify our message. The goals are to help our partner organizations raise funds through cell phone donations, to educate the public on the positive environmental impact of cell phone recycling, and to increase significantly the cell phone recycling rate nationwide. Again, please visit Old Cell Phones For Life and be a member today. Everyone is important to us, we will only realize our goals when enough people join this nascent initiative. Image Credit: “Sarah’s New Phone” originally uploaded by user “Me and the Sysop” at Flickr and used under the Creative Commons Attribution-No Derivative Works 2.0 Generic License. Facebook is great, you can meet new people, share experiences and socialise with friends. The goals are to help our partner organizations raise funds through cell phone donations, to educate the public on the positive environmental impact of cell phone recycling, and to increase significantly the cell phone recycling rate nationwide.